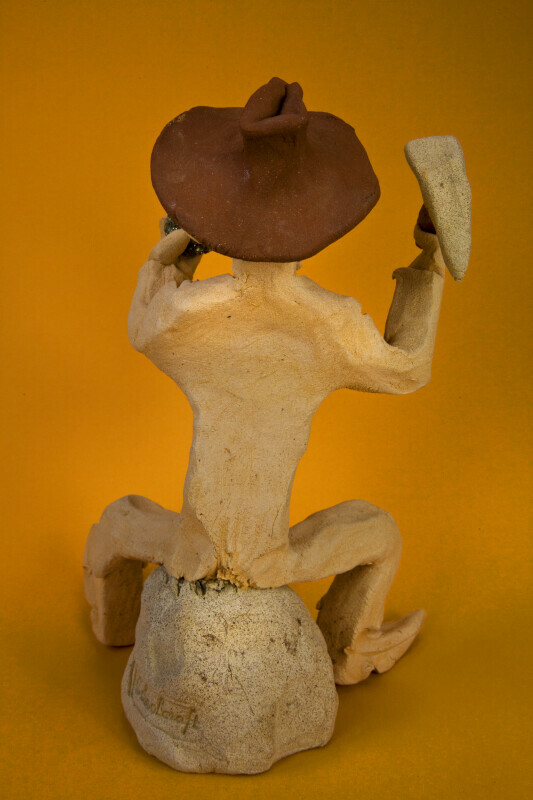 The back view of the handcrafted sculpture of a miner shows that he is sitting on a large rock. He is holding his miner's pick up in his right hand, and wearing a large hat. This figure stands 8 inches (20 cm) tall.